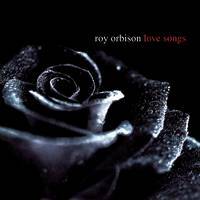 Even before Roy Orbison’s death in 1988, there were quite a few compilations of his classic studio recordings on the market, and, not surprisingly, in the subsequent 16 years, many more have followed. The latest retrospective is part of Legacy’s Love Songs series, and it culls 14 tracks from Orbison’s sublime output between 1960 and 1965. While it is hardly a comprehensive collection, each track is undoubtedly a gem plucked straight from the very foundation of rock ’n‘ roll history. Only the Lonely, Dream Baby, Blue Bayou, Running Scared, and In Dreams are just a few of the nuggets visited on the album’s turbulent, 36-minute ride on an emotional roller coaster. Indeed, it’s Orbison’s golden voice and his ethereal, operatic articulations that ignite the material, turning it into something more than just another batch of songs about love and loss. Always one to wear his heart on his sleeve, Orbison’s joy was tempered by a creeping, blue-hued melancholy, and with his sadness came extraordinary peace, beauty, and grace. The tenuous thread that bound him to this Earth rose and fell with each vocal phrase that he uttered, and as is proven time and again throughout Love Songs, it was his dramatic presence and naked vulnerability that made him a first-rate balladeer. Love Songs is available from Barnes & Noble.